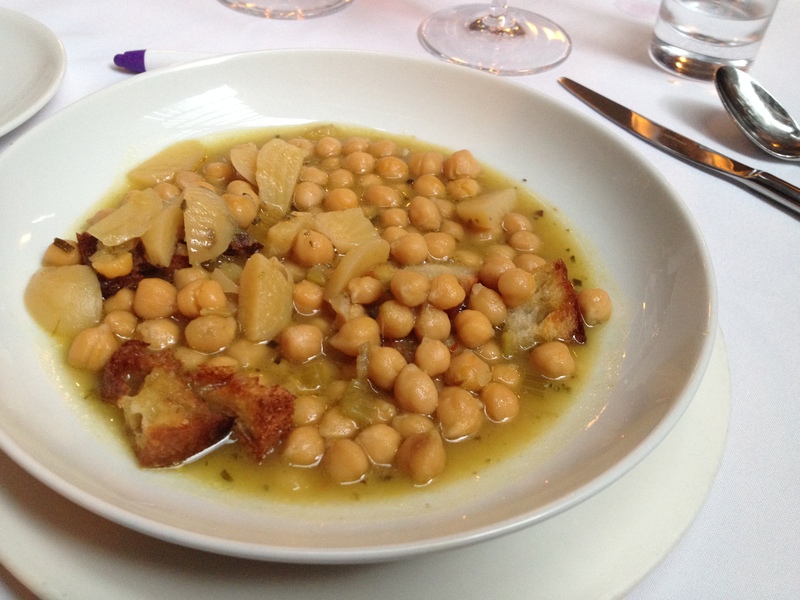 One of my favorite Italian restaurants in NYC is Il Gattopardo (The Leopard). 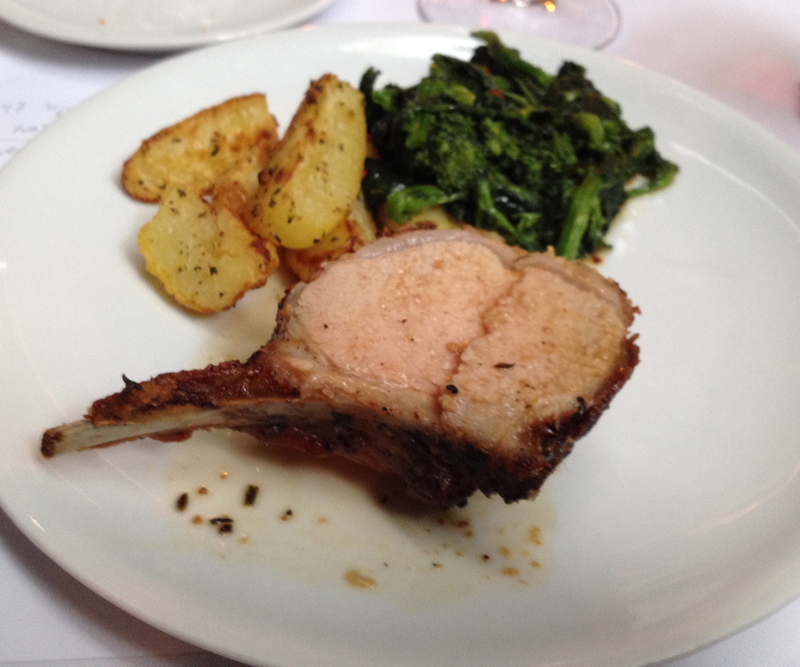 Gianfranco Sorrentino is a most gracious host and Chef Vito Gnazzo always prepares a memorable meal. 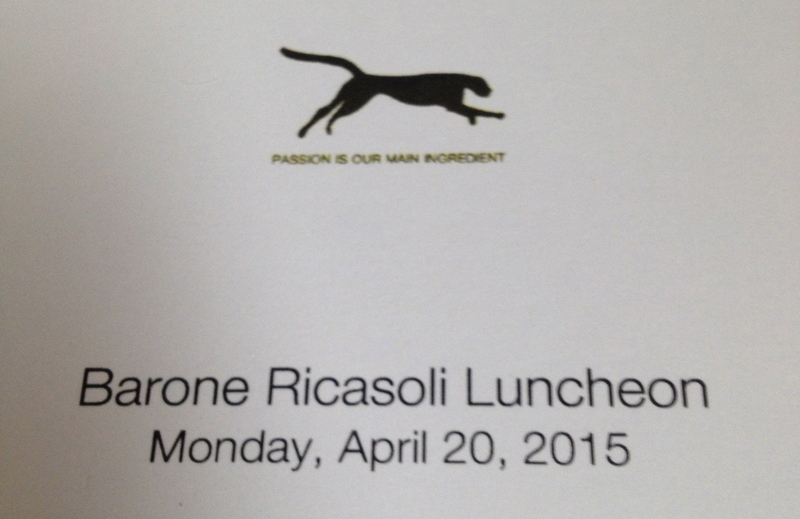 Recently, I met Barone Francesco Ricasoli for lunch there. 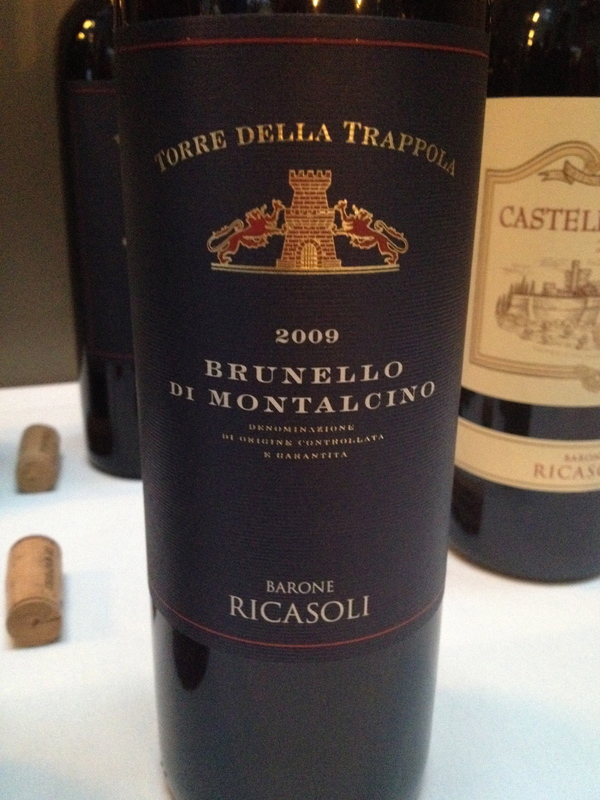 The name Ricasoli has been tied to Chianti from the 19th century when Bettino, known as “the Iron Baron,” developed the blend for Chianti . Francesco is the great grandson of the Iron Baron. The family traces its involvement in wine back to 1141 and theirs is one of the oldest wine estates in the world. 250 hectares of vineyards surround the castle of the estate which is the largest in Chianti Classico. The 1,200 hectares between the villages of Gaiole and Castelnuovo Berardenga include valleys, oak and chestnut woods, and 26 hectares of olive groves. 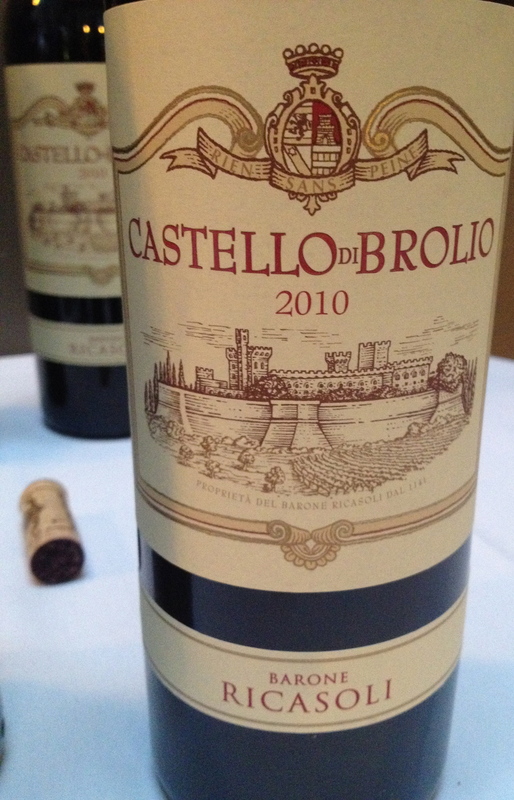 Francesco took over the running of the family estate in 1993 when he bought back the Castello di Brolio from the British company that it had been sold to. With the collaboration of universities and a key scientific research center, he began to look more closely at his estate and what he could do to improve it. Francesco wanted to find out what the best clones of Sangiovese are, what is the best soil for that specific clone, and what is the best wood for it to be aged in. 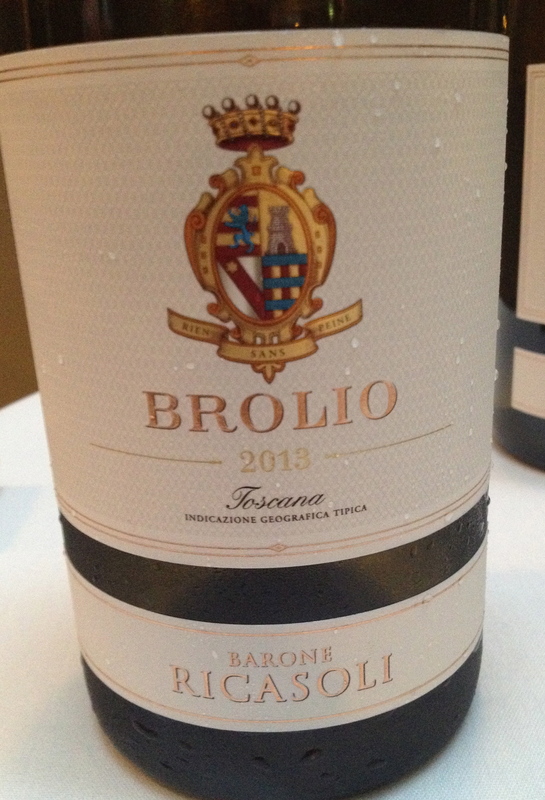 Beginning in 1995 the ancient Brolio vineyards were gradually being replanted. 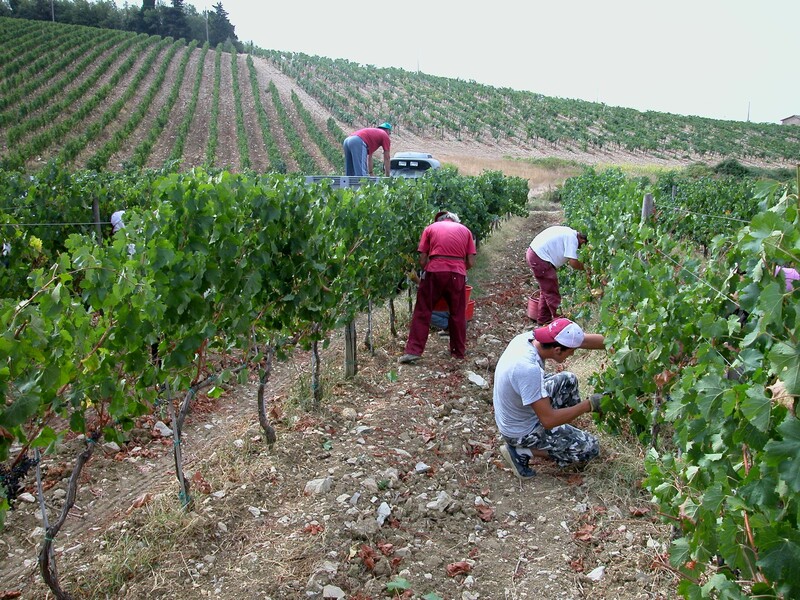 Francesco started a research project to study and select biotypes of Sangiovese and other typical Chianti varieties. In 2005, 12 were identified, considered to be the best with the most potential for the purpose of selection, and good candidates to become new clones together with those already officially recognized. Three years later, the rootings obtained from these clones were planted. Francesco told me that there was an independent institute working with the clones and trying to have them certified by the Ministry of Agriculture. He added that all the grapes were picked by hand. 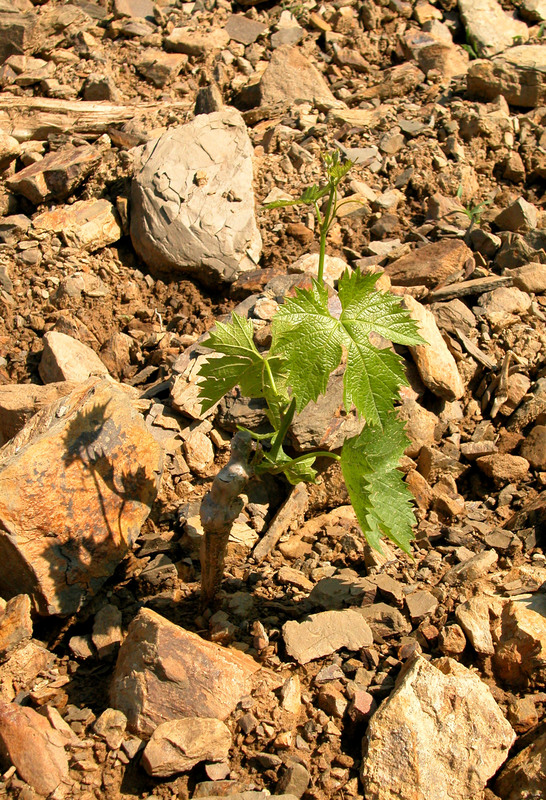 Terroir has a most important role to play. They are making a map containing all the data for each vineyard: physical-chemical composition, elevation, sun exposure and micro-climate to select the most suitable rootstock, the appropriate variety to plant, and the best row orientation. This has become known as the Cru project. Three of the wines involved at the moment are Castello di Brolio Chianti Classico DOCG, Casalferro IGT and Colledila Chianti Classico DOCG. In 2002 they introduced stainless steel for vinification. 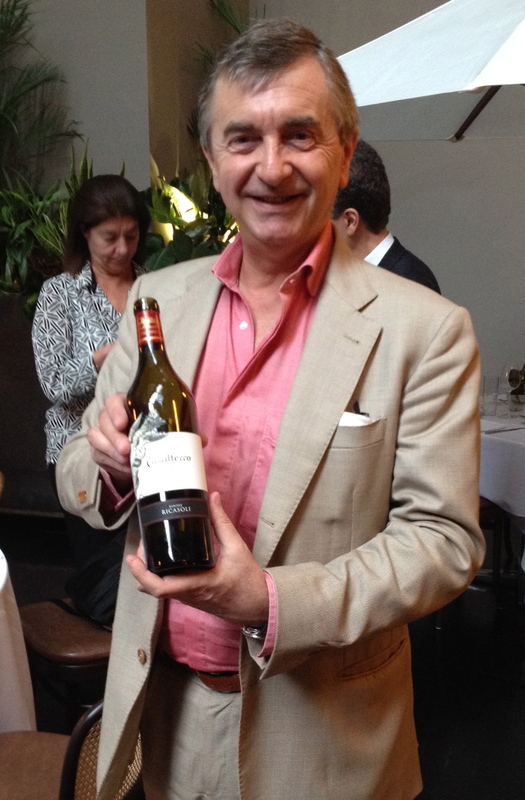 Francesco said that because the estate is so large they can have single vineyard cru wines like they do in Piedmont. The land is Paleocene-Eocene in origin and forms part of the geological formation “Monte Morello.” The soil is brown with a fine clay structure, very chalky, with subalkaline pH and little organic material. It is well drained and very stony. The grapes are destemmed and fall by gravity into special fermentation vats with a conical shape that are open at the top. During the alcoholic fermentation and the maceration period, a soft pressing is carried out between 2 and 6 times a day as well as the delestage. The maceration on the skins is between 5-9 days in stainless steel vats. Malolactic fermentation is in stainless steel vats. Francesco went on to say that the wine is aged in new barrels and casks for 18 months. Francesco made a point of saying that the choice of wood used is the result of experiments using 20 different types of the best French oak from different geographical areas (Vosges, Troncais, Nevers, Allier, and Limousin) with medium and medium-plus toasting levels and standard to tighter grains. He also said that they use many different size barrels. 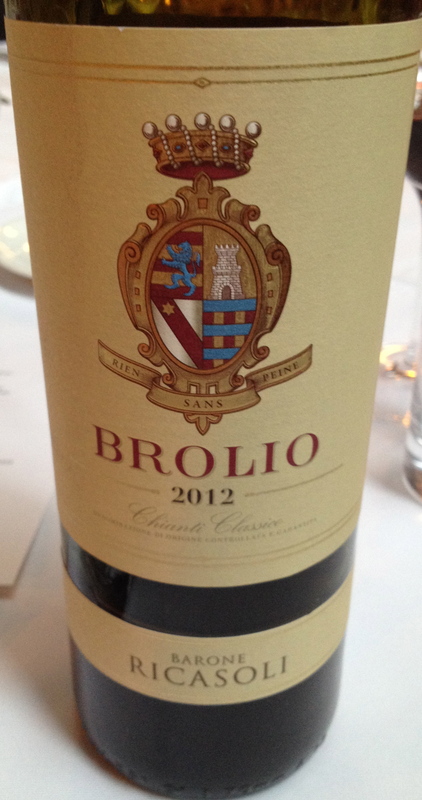 Because of all of this, he felt that this wine was the top expression of Sangiovese at Brolio and that the aroma is so specific, intense and typical that it could not be confused with any other wine. He said that in this particular terroir the Merlot “is “Sangiovized” meaning that in this harsh but generous territory it takes on sangiovese-like qualities. Because of this for the first time the wine is 100% Merlot. Francesco added that he did not consider this wine a Super Tuscan, in fact he felt the time of the Super Tuscans had passed–it was a wine of the 1990’s. I could not have agreed with him more but for me it did not pass soon enough. 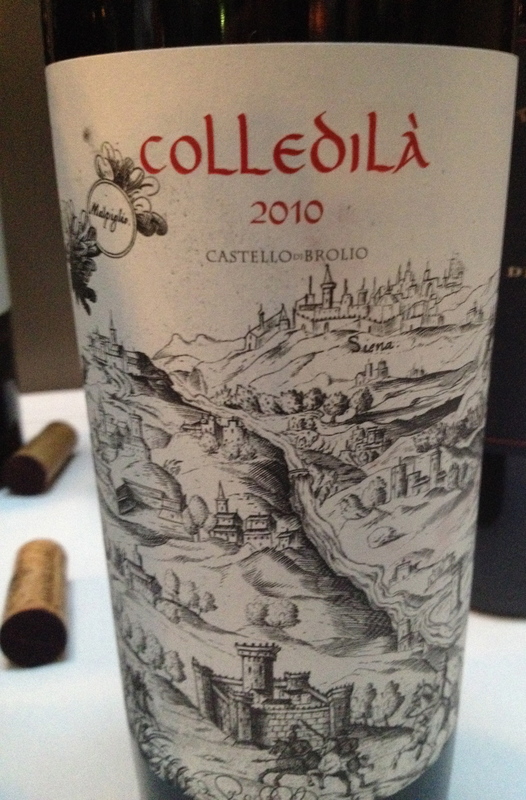 Frencesco said that the wine is named after a property which belonged to the Ricasoli family in 1329. This Brunello di Momtalcino represents their first concrete example of diversification into other important areas of Tuscany. 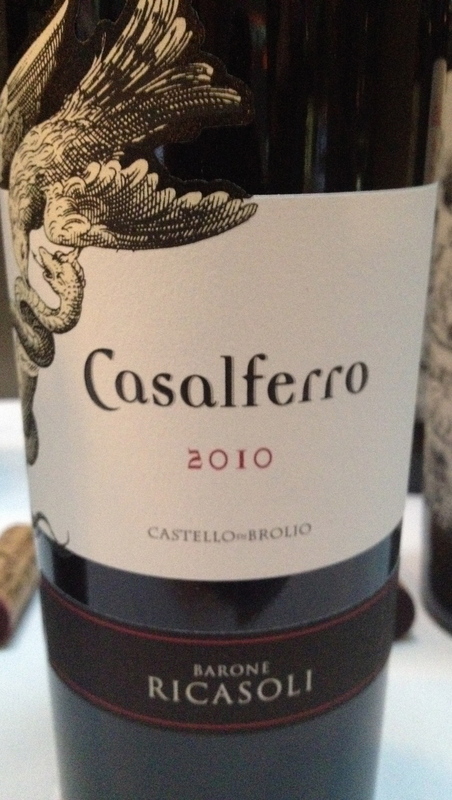 The wine was made with the cooperation of Castello Romitorio and the direct involvement of their wine maker Carlo Ferrini. The first vintage was 2009. 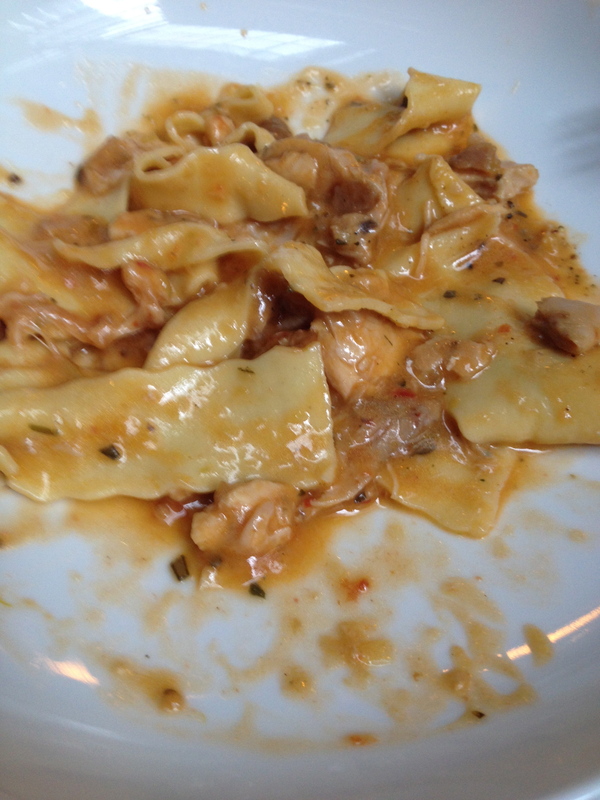 This was served with an assortimento di formaggio con mostarda di frutta.